There has been a lot of noise recently among health professionals, beverage industry experts and water enthusiasts about so-called reverse osmosis water and its perceived benefits and drawbacks. But what exactly is it? And what should health-conscious consumers look for in a decent bottled water? Reverse osmosis is a technical term for a type of water purification technology. The process involves the use of a semipermeable membrane to eliminate molecules, ions and larger particles from water, rendering it safe to drink. 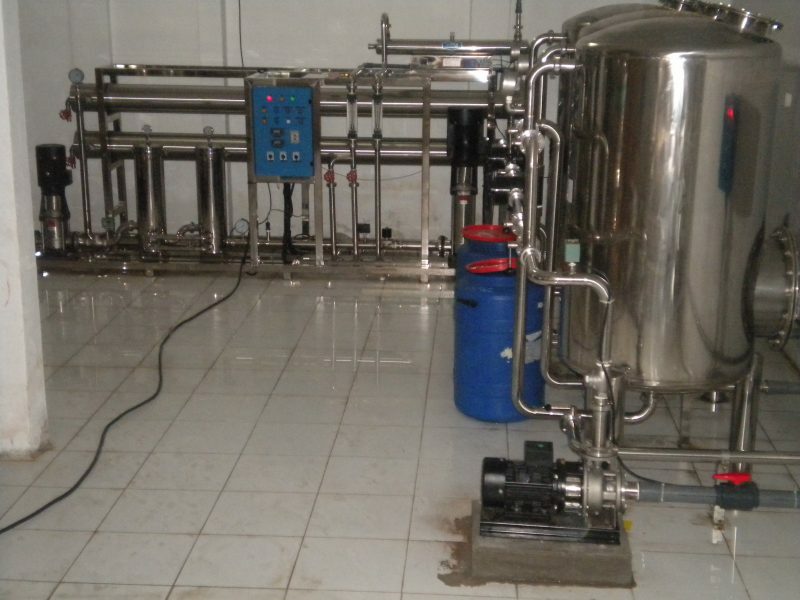 Reverse osmosis is essentially the opposite of normal osmosis, whereby solvents naturally move from an area of low solute concentration to an area of high concentration via a membrane. This movement is driven by the osmotic pressure generated by the solvent moving towards the more concentrated solution. In reverse osmosis, this osmotic pressure is counteracted by the use of artificial external pressure to reverse the natural movement of pure solvent. 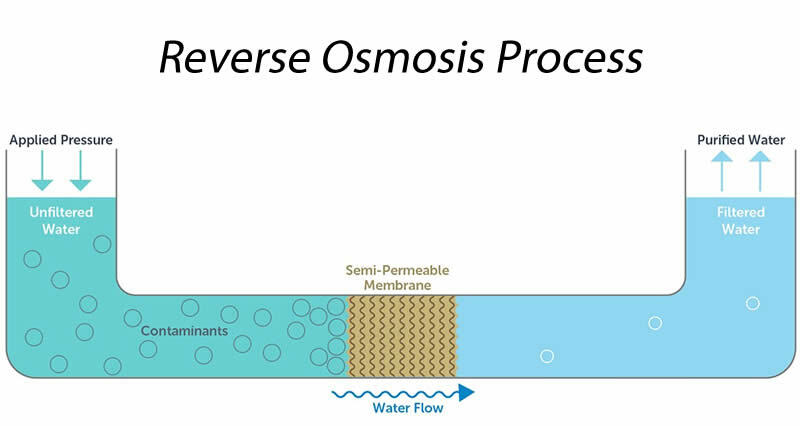 Unlike other membrane filtration methods, whereby water is strained and particles are eliminated dependent on size, reverse osmosis has the potential to remove even the tiniest of molecules. In this way, reverse osmosis has powerful purification abilities and is capable of removing many types of dangerous bacteria. How beneficial are these powerful purification capabilities? Although reverse osmosis is well-known for its abilities to remove all manner of dangerous water impurities, it also removes a whole host of beneficial minerals. Indeed, we now know that reverse osmosis actually eliminates around 92-99% of water’s natural calcium and magnesium levels, both of which are important to maintaining a strong and healthy body. In fact, the World Health Organization has weighed in on the reverse osmosis problem, warning in a recent report that water treated in this way has a clear adverse effect on human and animal organisms. In some ways, the reverse osmosis trend is part of a wider trend for intensive water purification. Consumers have long assumed that the purer the water, the better it is for human health, but this is simply not the case. As the World Health Organization emphasises in its report, drinking water rich in minerals is essential to good health, and drinking completely pure water for even just a few months can even produce unfortunate side effects. Water that is too low in magnesium or calcium can cause deficiencies in those who are unable to ingest these minerals elsewhere. Symptoms are wide-ranging and can include fatigue, cardiovascular disorders, and muscle cramps or weakness. If all of this weren’t bad enough, reverse osmosis water actually has the potential to leach minerals from a healthy body as it causes minerals consumed via food and supplements to pass through a person’s urine. This is very bad news for overall health, and there is plenty of scientific evidence to back this up. Indeed, as the World Health Organization has reliably concluded, consuming reverse osmosis water regularly has a demonstrable negative effect on the body’s homeostasis mechanisms, thereby throwing its mineral and water metabolism into disarray. Indeed, water treated in this way has the capability of diluting electrolytes dissolved in the body’s water, potentially even compromising the functioning of a person’s most vital organs. Initial side effects of electrolyte dysfunction issues include fatigue, headaches, muscle cramps, and issues controlling heart rate. What should health-conscious consumers do to meet their hydration needs? It is fairly obvious from the World Health Organization’s recent warnings that we should be steering clear of reverse osmosis water at all costs. So what is the solution? If filter water is deemed to be an inferior option, what kinds of bottled water will give the body a little boost? At Beloka Water, we believe in the powers of fine, natural mineral water. Indeed, we source our water from an unspoiled area of the gorgeous Australian Alps through which flows an undisturbed spring. The water from this spring is absolutely full of beneficial minerals like magnesium, calcium, silica and potassium, and boasts a wonderful, rich flavour. Water connoisseurs do not have to worry about the purity of the water either, as it is filtered through the 500 million-year-old strata of the Alps.